The corporate entities that form the bulk of the Separatist Alliance have untold resources at their disposal. As the Clone Wars escalate, then, it is only natural that they throw this weight into developing advanced starfighter technology that can help them put the Republic on the defensive. The result of this research is a unique blend of cheap but deadly droid starfighters and heavily armed ships controlled by "more traditional" organic pilots. Both of these design philosophies are represented in the Servants of Strife Squadron Pack. Within this expansion, you’ll find both a heavily armed Belbullab-22 starfighter and two Vulture-class droid fighters (painted in General Grievous's colors) to begin building your Separatist Alliance squadrons. 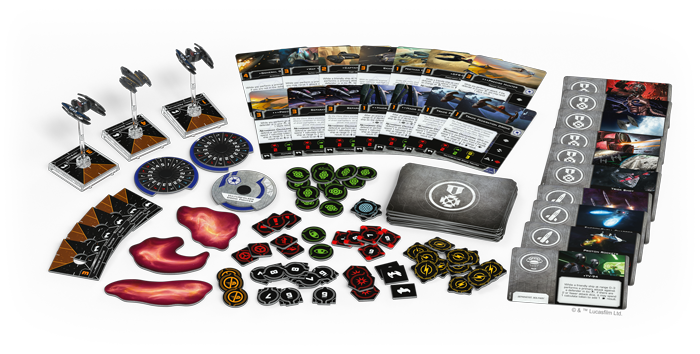 Accompanying these ships is a full suite of 48 upgrade cards that reflect the Separatists’ emphasis on groups of networked droid fighters working as one. 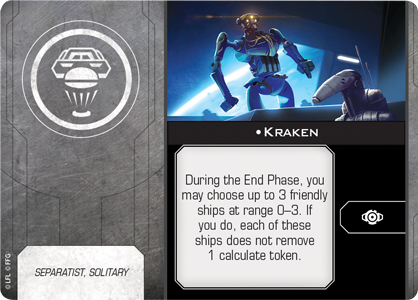 For example, adding a Tactical Relay upgrade such as Kraken to your squadron gives your droids even more power to make use of their calculate tokens. 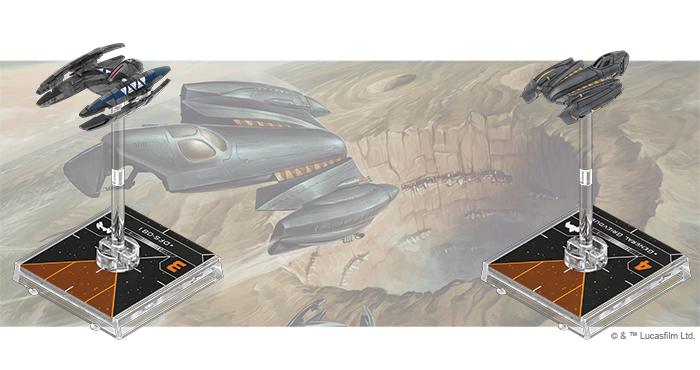 This massive array of upgrade cards, including reprints of many common neutral upgrade cards, also means that Servants of Strife can be combined with the X-Wing Core Set to make the perfect start, especially if you're just getting into the game and want to start flying with the Separatists. We’ll take a look at everything included in the Servants of Strife Squadron Pack, including all the Seperatist-exclusive upgrade cards, in a future preview!